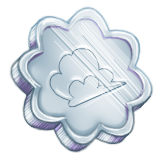 Cloud Coins, commonly abbreviated CC, are the primary currency in the world of Saylua. They are coins minted in the shape of clouds. This page was last modified on 21 November 2016, at 21:41.